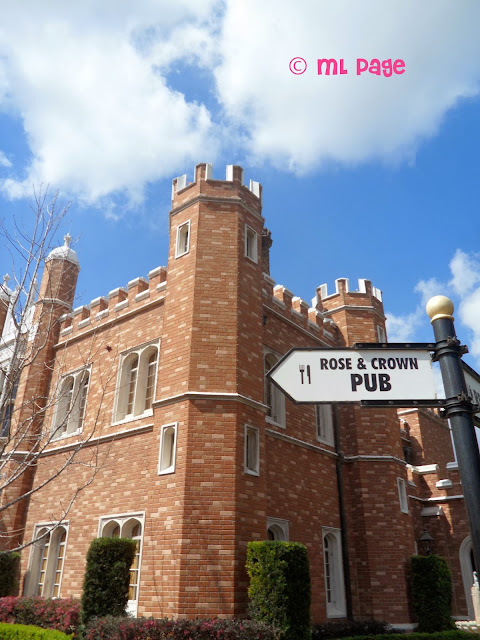 When you make your way into the United Kingdom pavilion its easy to get distracted by the delicious food and drinks to be had and the character meet and greets that are often around but there is also history all around you! Mary Poppins as well as Pooh & Friends have been known to frequent the shops and Alice often sets up shop outside the tea shop in the garden. All three of these characters from classic English literature were brought to life by the Disney company and fit smashingly in this area of EPCOT! While you are on a character, or food, or beer line… take a look around you! The cottage where you can find the tea shop is a replica of the home of William Shakespeare from Stratford-on-Avon. 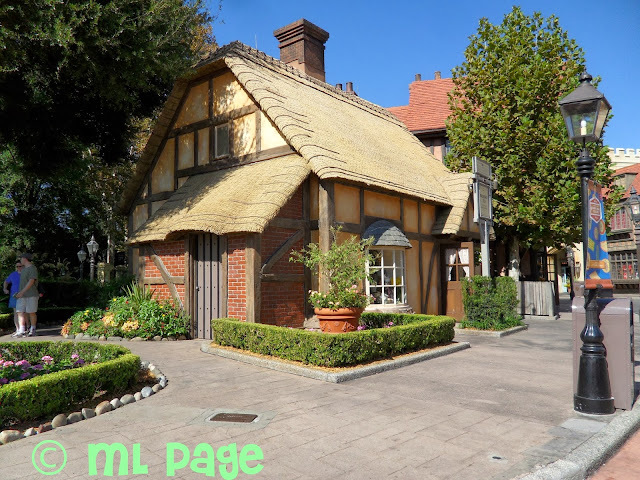 As you make your way through the area you will also notice that the architecture is built larger on top than the first floor… this represents the medieval architectural design of many homes in England. Since taxes were mainly based on the square footage of your ground floor, citizens often built their second floors larger than the first!